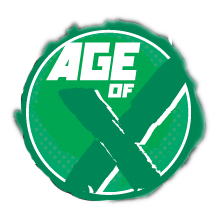 Marvel’s latest X-Men event, Age of X, begins this week and I really couldn’t be more excited about it. I’ve had a lot to say about it here on MLD, and all of it can be accessed, along with reviews and reactions to each installment going forward, at our Age of X hub. Despite all the hype surrounding this crossover, it’s still very mysterious (although that’s by design). Before we get into the story itself this Wednesday, it’s a good time to recap what we know going in.